The Integral Cinema Studio at Integral Life is an article series on the application of Integral Theory to cinematic media theory and practice. Integral Theory is a metatheory that offers several perspective-taking frameworks or lenses of perception through which we can perceive, experience, and integrate the multiple dimensions of existence. In this series of articles I will be exploring applying these various Integral lenses to the creation and viewing of cinematic media, which I am defining as any media that uses moving (kinetic) images as a means of expression. This series is written with a general audience in mind and no prior knowledge of either Integral or cinematic theory is required. My hope is that there is something here for the novice and the expert, for the artist, theorist, and the average viewer of cinematic media in all its forms, and for those on the journey to better understand their self, culture, and world. 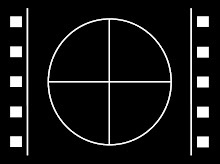 The first Integral lens I am exploring is the HOLONIC lens. To view this article click here. 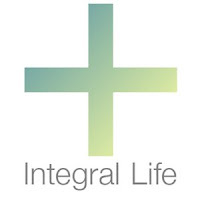 Special Thanks to Ken Wilber, Corey DeVos, David Riordan, Michael Schwartz, and all the gang at Integral Life for the inspiration and support, and for providing this wonderful platform for sharing my work. As an artist of many different mediums (film, drawing, text, photography) I can honestly say that on one level it feels like a miracle when a viewer understands my work in the way that I intended it. And there is often another miracle, when the viewer sees something in my work that I did not consciously intend, but when they speak their truth it rings true for me as well. I have studied the language of my mediums and how each of their material elements communicate differently across cultures and societies; I have studied the psychology of how individuals perceive and view art; I have studied symbols, metaphors, and archetypes across cultures; and I have studied how different states and stages of development in the viewer and the work communicate with each other. I believe all of these are factors in how the artist communicates to the viewer. Yet, there is also something else involved here; something I learned in the form of both direct experience and teachings from some of the masters of art I have studied with over the years...this something else is that the more a creative work comes from a deeply personal meaningful place in the artist, the more universal its meaning becomes. This is the great paradox of art and meaning; the more personal the work the more universal and the less personal the work the less universal. Actor and playwright Sam Sheppard said it beautifully when he spoke to my class at the AFI many years ago. He said that if an artist starts with a deeply human truth, one from their own experience or one from the life of another, then the work becomes universal because what is true for one human heart resonates with all other human hearts. As a practitioner of art as an integral spiritual practice, I also see myself as a creative channel for the Divine. When I align myself with the Creative Source as the Divine Suchness, Thou and I AM, the Source speaks through me into the work and out to the viewer. 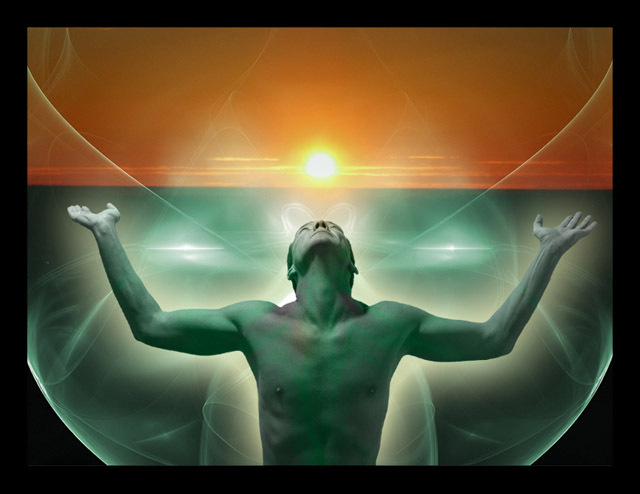 From this perspective, in addition to my own personal meaning being expressed in and through the work, I believe there is a higher meaning being channeled through me and the work that I most often am not even conscious of. Sometimes I discover this meaning when a viewer shares what they received from the work; other times, years later, I discover this hidden meaning when viewing my work from a different place in my own life journey. In the end, each individual views the work from where they are at on their live journey and when a work of art is a channeled work; I believe it has the capacity to become a kind of magic mirror in which the viewer receives the message that is perfect for them at that particular moment on their life path. From an Integral perspective, I would say that meaning in art is tetra-resonant, in that a work of art can have subjective, material, cultural, and/or social resonance. This resonance channels meaning between the work of art and the viewer, and one can gauge the general message of the art work through any and all of these resonance channels/dimensions. The more this meaning is rooted in a deep truth in any and all of these dimensions, the more universal the message becomes.